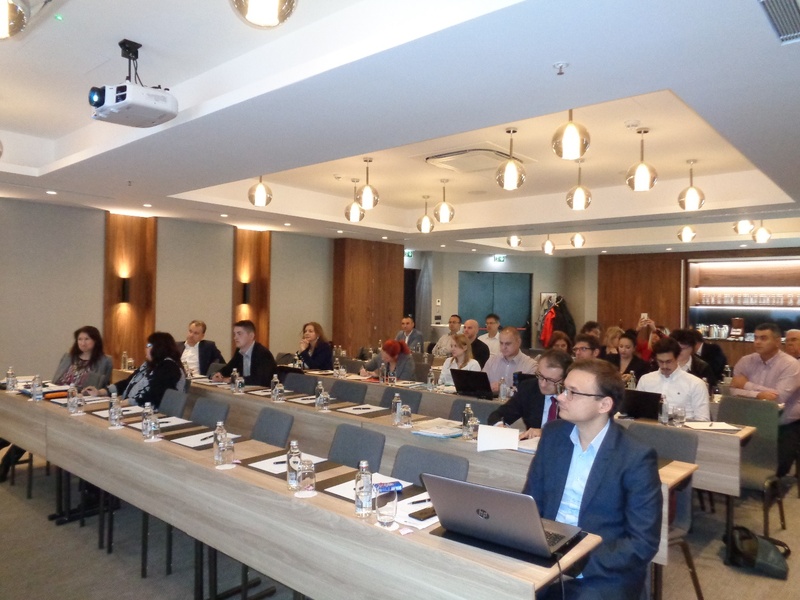 The 4th DANTE Project Consortium Meeting was held on November 14-15 in Sofia, Bulgaria. The event gathered around 30 experts from almost all consortium partners. The meeting included a presentation of the current stage of all 5 working packages, as well as a discussion on the definition of the monitoring methodology. The event started on November 14 with a presentation on the project management: deliverables and outputs, budget and spending forecast, change requests and planning on the reporting process. The communication activities under WP2 regarding the three topics - stakeholder management, project promotion and dissemination activities - were presented at the second part of the morning meetings. The afternoon session started with the presentation of the project manager from iC Consulenten on the activities for barrier identification, a crucial part of WP3. Next, the analysis of activities under WP5 were discussed. Finally, Dejan Trifunovic, the representative of the Danube Commission, presented the activities related to WP5. His presentation focused on the main outputs of the package, as well as the timeline of the activities. It was announced that the final project meeting is scheduled to take place on May 28 and 29 in Budapest, Hungary. On November 15, the discussion on the Draft Strategy for the Danube IWT Administration was held. The objective of this planning document is to achieve simplification, harmonisation and digitalisation. Next, the monitoring methodology was presented. Its main steps include monitoring, planning, agreeing, executing, reporting and evaluating. Finally, the next steps and deadlines until the end of 2018 were set.